One important event in Africa in the past weeks was the 12th Forum for the African Growth and Opportunity Act (AGOA) held in Addis Ababa from 9-13 August. The annual event brought together senior officials from the United States and AGOA-eligible African countries to discuss a range of trade and investment-related issues. AGOA is said to be the cornerstone of US-Africa economic relations. The 2013 theme was “Sustainable Transformation through Trade and Technology”. Although AGOA rarely makes the headlines, this year’s meeting requires special attention as the current act is due to expire in 2015 and with only two years to go the details of its renewal are of great importance to the US, to Africa and the world at large. 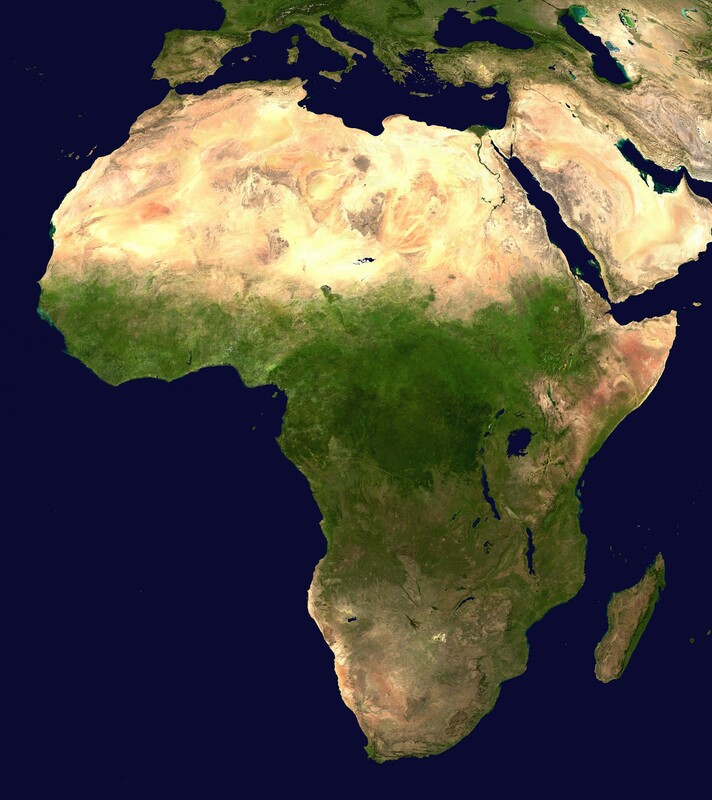 Africa is now the Hopeful Continent and the world’s new growth engine. With the global economy facing a “Great Contraction” Africa’s growth and what it trades to generate that growth are now critical. According to official US websites, AGOA enables the 39 eligible sub-Saharan African countries to export most products duty-free to the United States. It provides incentives for African countries to “improve their investment climates...stimulate economic growth... encourage economic integration...reduce corruption...respect human and labour rights and the rule of law...improve infrastructure and harmonize trade standards to help them become more competitive in the global marketplace.” Since AGOA’s inception under Bill Clinton in 2000, African exports to the US have more than quadrupled, and US exports to Sub-Saharan Africa more than tripled. The increase, however, is clearly not enough for the US. In 2009 China surpassed America as Africa’s top trading partner. In 2011 (the latest figures available) China traded $127.3bn with sub-Sahara Africa (a 15-fold increase from 2000) while US trade was worth $94.3bn. With other emerging markets, such as India, Brazil and Turkey pouring into Africa, the US is very keen to step up its trade relations with the continent. In addition to the AGOA renewal this year, US president Barack Obama also launched Trade Africa and Power Africa, two other important initiatives which shows that U.S. is serious in its engagement with Africa. The success of the Trade and Power initiatives will be depend on how the African Growth and Opportunity Act is improved and enhanced. As Mr Froman pointed out, “these initiatives are vital complements to AGOA, which remains at the heart of our strategy for increasing U.S.-Africa trade and investment. The wide coverage of the 2013 AGOA Forum by the Financial Times conveys its significance: “Obama presses for US-Africa trade pact to be renewed” - Aug 5; “Expanding Agoa should be a priority for Africa – and the US” beyondbrics Aug 9; “US seeks better access to Africa as part of trade pact review” - Aug 1. Although the idea of a “seamless”, “improved” and “enhanced” Agoa renewal appeared in the FT articles, the main theme of “Sustainable Transformation through Trade and Technology” was not discussed. Neither was it mentioned in America’s two most important speeches on the subject. US president Barack Obama’s video speech on Agoa acknowledged “Rising“ Africa’s great hospitality and Africa’s great potential. But the president came nowhere near to talking about sustainability or the green economy needed to achieve his goals. The U.S. Trade Representative, Michael Froman, in his speech in Addis Ababa made only one reference to “sustainable development” and one to “sustainable economic growth” without mentioning the green economy as a necessary tool in the process. Neither speeches mentioned trade adapted to cope with climate change, ecological degradation, biodiversity loss or resource depletion, each of which are huge impediments to Africa’s long-term growth. Sir, Any renewal of the African Growth and Opportunity Act (AGOA) must be tailored to the 21st century otherwise a trade war could replace the cold war and Africans will, as usual, be worse off (“US seeks better access to Africa markets as part of pact review”, August 12). According to your recent reports, Barack Obama believes the AGOA renewal should be “seamless” but also “improved”. Carlos Lopez and Kamel Dervis (Beyond Brics, FT.com August 9) say an “enhanced” AGOA would provide “a powerful drive to deliver [Obama’s] African strategy set out a year ago and would demonstrate US global leadership for years to come”. What the world’s most promising but most vulnerable continent needs is not only a seamless renewal of the AGOA agreement but a new piece of cloth. President Obama, who entered office on the ticket of “Yes we can” change the way things are done, has a historic opportunity to change the way we do things in Africa. Being half-African, he is better qualified than any other world leader. Trade with Africa based on sustainable growth and opportunities is the key. To begin, Mr Obama should listen to what Africans are saying. As you report, African representatives are arguing for a minimum 10-year extension of the deal to encourage long-term investments instead of piecemeal timeframes that make it difficult to plan. African leaders in their Consensus Statement to Rio+20 last June made it clear that their only viable route to long-term, sustainable production, consumption and trade is through the green economy. In this regard, Item 24 calls on “the international community to put an international investment strategy in place to facilitate [Africa’s] transition towards a green economy”. Mr Obama’s November 2008 victory coincided with the launch of the Global Green New Deal, which he wholeheartedly supported. While, as a result of the GGND, growth in the global green economy is outstripping growth in the “brown” and promises to accelerate, a great deal more urgently needs to be done. Some sort of Green Deal with rising Africa, beginning with an improved and enhanced Agoa – perhaps an African Green Growth and Opportunity Act – is an opportunity for Mr Obama to demonstrate the type of global leadership the world needs. Perhaps it was too much to expect Mr Obama or Mr Froman to talk about Africa and Trade and the Green Economy. After all, as has been discussed elsewhere in this blog, most major Africa summits and conferences taking place this year do not have the green economy on their programs. However, there is one glimmer of hope from the proceedings in Addis Ababa that suggest how the AGOA renewal might be tailored to the 21st century. At the Civil Society Session (CSO) of the AGOA Forum, Vicky B. McPherson a U.S. attorney with the international law firm Greenberg Traurig LLP, spoke on a panel at a session called “Achieving an African Green Growth through Trade and Technology.” She and other panellists discussed various topics including: the pathway to sustainable development through Green Growth strategies and policies; Achieving Green Growth through strengthening Africa’s renewable energy resources through technical assistance and capacity building; and trade and technology as a means of attaining Green Growth, among others. Institutional frameworks. The institutions inherited by Africans at independence were hopelessly inadequate to deal with the complexities of sustainable development in such challenging conditions as Africa. Although considerable reforms have been made over the past 20 years, much more can be done. Further institutional reforms needed to “Achieve an African Green Growth through Trade and Technology” could start with the elevation of environmental authorities in Africa’s 54 countries, most of which have no power to make the necessary changes. The institutional frameworks in Africa that have delivered progress on the Millennium Development Goals could also be strengthened and adapted to carry out the necessary work on the Sustainable Development Goals, a major theme of Rio+20, set to replace the MDGs in 2015. Green accounting. Of all the systems introduced to Africa from the outside, the one that needs reforming most urgently is the accounting system based on gross domestic product because it tells us nothing about sustainability. Since the early 1990s economists have been exploring new forms of national sustainability accounting which include more thorough cost-benefit analyses as well as national wealth accounting. Backed by the UN, the World Bank, the African Development Bank, a number of African countries and other major global institutions, this has been called green GDP or, at Rio+20, GDP plus. Without this it seems impossible for Africa’s green vision to be realised and impossible for Africans to build dynamic and sustainable economies that would help with the Great Rebalancing of the global economy from brown to green. Green investment plans. Africa’s Consensus Statement to Rio+20 in June 2012, called on the international community ‘to put an international investment strategy into place to facilitate the transition towards a green economy.’ This represents an opportunity for Africa. Instead of waiting for the international community, preoccupied as it is with multiple crises, to deliver a meaningful investment strategy on time, Africans are well qualified to propose their own. In Africa’s complex and challenging conditions a more integrated approach to planning is needed where systems are developed rather than individual projects. Organizational tools like Integrated River Basin Management and Biosphere Reserves could put together the frameworks for green investment plans. After 20 years of green development experience Africans are in a unique position to design mega green investment strategies as a counter-balance to the mega ‘brown’ strategies of the current model. Although Trade Africa, Power Africa and a renewed African Growth and Opportunity Act offer great promise for Africans and Americans, it seems surprising that Mr Obama has not yet spoken of America’s role in greening Africa, particularly as his green vision when he was elected gave so many so much hope. It is surprising also as Americans are among the most advanced green thinkers and are making great experiments in the evolving green economy. Being half African Mr Obama was expected to do greater things in Africa than any other American leader. He has all the tools at his disposal and the window of opportunity is wide open. At the end of his AGOA speech is a hint as to why Mr Obama has not mentioned green growth and opportunities in Africa. He could be waiting for Africans to speak when he says: “The discussions you have here [in Addis Ababa] will help chart our way forward.” The 5 day AGOA Forum in Addis Ababa was only the start of discussions that will help Mr Obama chart his way forward into Africa, the last frontier. Africa’s green voices must now speak out. It is not bad to inquire for an income protection quote in this type of economy.